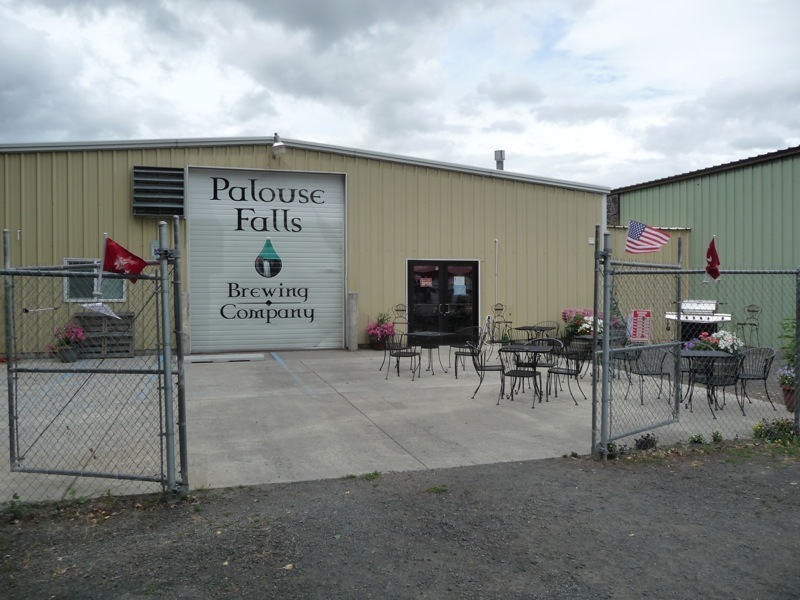 The overall impression of Palouse Falls Brewing is of an unfinished warehouse that is nevertheless a comfortable place to hang out and enjoy the beer. Itâ€™s well worth a visit. It is not easy to find the brewery. It is in an actual warehouse, and set back from the street behind another business, so look carefully for the sign out by the street. In front of the building there is a fenced-in concrete patio with tables and chairs. Inside is the tasting room with the brewery in back. 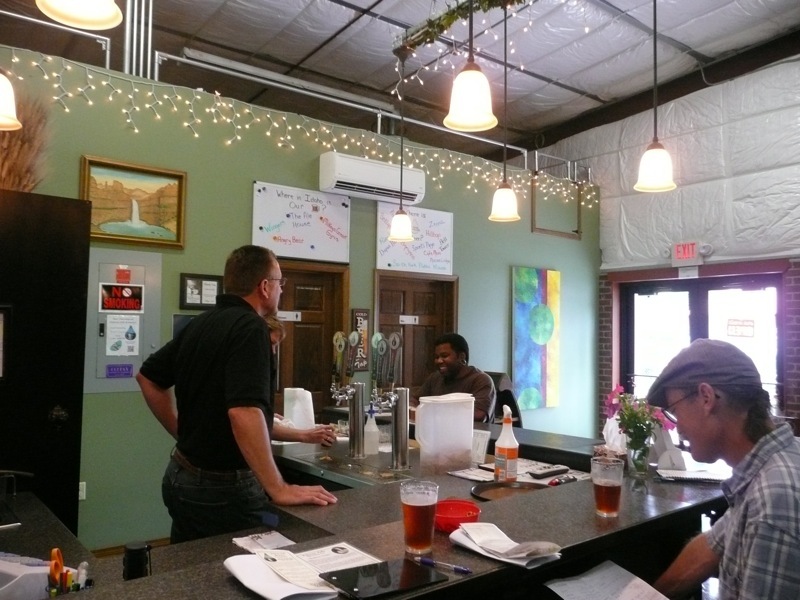 A simple black two-sided bar is in one corner of the tasting room. Several wooden tables and chairs and a small open office area occupy the rest of the space. 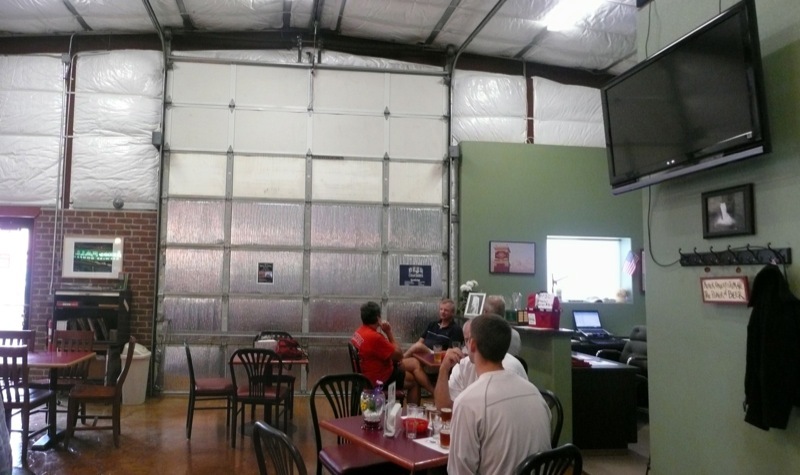 At the back of the room, a very large sliding door with windows gives a view into the clean and fairly large brewery. There was a nice range of beers on our visit, 4 regulars, and two seasonals: Idaho Au (cream ale/Kolsch), their best seller Crimson Pride (red ale), Kamiak IPA, Steptoe Stout, Spring Thaw (strong golden), and Whitman (wheat with coriander and orange peel). There is no food (besides pretzels), but you can bring your own or order in. You can buy beer in growlers to go. There is a gravel parking lot in front.